POLONIA OPEN TENNIS: SUMMER SWING! Over the years, Polonia Open Summer Swing has grown in size and popularity. The goal of our Summer Swing Tournament is to popularize tennis in the family and community in the New York City area -- and maybe one day discover another Federer. 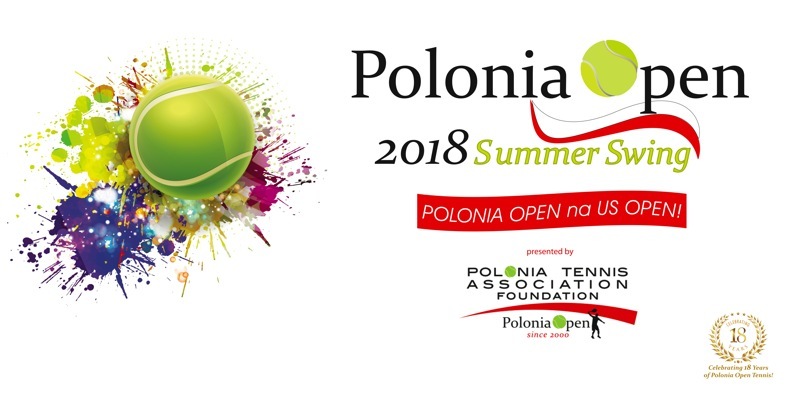 As a result of the enthusiasm of many for this exciting new tournament, we now have on our calendar permanent Winter and Summer editions of the Polonia Open! "POLONIA OPEN na US OPEN"
The USTA Billie Jean King National Tennis Center is perhaps the most prestigious venue in American tennis, hosting the US Open Grand Slam tournament each year since 1978. And since 2010, it has also been home to the Polonia Open Summer Swing Tournament! This facility is the largest public tennis facility in the world! To learn more about the center, visit the USTA web site, USTA.com. REGISTRATION for SUMMER SWING 2019 is not open yet, but we'll contact you whenever there's important Tournament News.